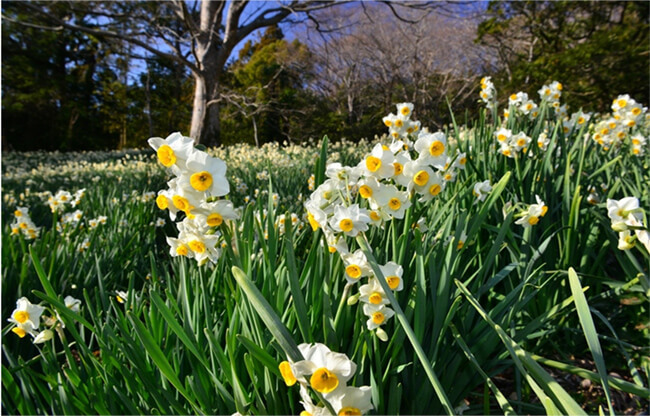 Many flowers color Minamiboso in early spring. Along the Suisen Road in Iwai grow lovely daffodils. The season for daffodils here is late December to early February. The best time to see the flowers in full bloom is mid-January. Take a walk along the trail of about 50,000 daffodils near this hiking course and enjoy their sweet fragrance.